Taiwan has pledged to keep a close eye on US President Donald Trump's upcoming visit to China. Speaking to Sputnik, Professor Ho-Fung Hung of the US-based Johns Hopkins University expressed hope that the visit will not tarnish ties between Washington and Taipei. Ho-Fung Hung said that when in Beijing, Trump will discuss a spate of top priority issues, including those related to North Korea and trade. Among them, the issue of US companies' allegedly forced technology transfer to their Chinese partners, according to him. "I don't think that Trump would offer to reduce US arms sale to Taiwan as a bargaining chip because so much vested interest in the US, such as the interest of arms manufacturers, is at stake in such a sale," Ho-Fung Hung said. He added that Taiwan's government will also closely watch the forthcoming 19th Congress of the Communist Party of China (CPC) scheduled to happen later this month. "Taipei voiced hope that, after the Congress in connection with further consolidation of [Chinese Presidet] Xi Jinping's power, Beijing might have larger flexibility in dealing of Taiwan and a stabilization or even improvement of Tsai government's relations with Beijing is possible," Ho-Fung Hung said. "Taiwan's President Tsai Ing-wen has been quite careful not to provoke Beijing," he added referring to the handling of the Taiwan human right activist arrested in Beijing. Earlier, the South China Morning Post newspaper reported that Tsai instructed government bodies to assess the possible developments in the Washington-Beijing-Taipei triangle in connection with the upcoming Chinese-US high-level talks. — China US Focus (@ChinaUSFocus) 30 сентября 2017 г. During his first visit to Asia beginning on November 3, President Trump will attend the East Asian Summit and the US-ASEAN Summit in the Philippines, as well as the Asia-Pacific Economic Cooperation Summit in Vietnam. — CGTN America (@cgtnamerica) 5 октября 2017 г. Meeting Chinese President Xi Jinping in Beijing last Saturday, US Secretary of State Rex Tillerson specifically signaled Washington's strong interest in supporting China's drive to resolve the Korean issue. 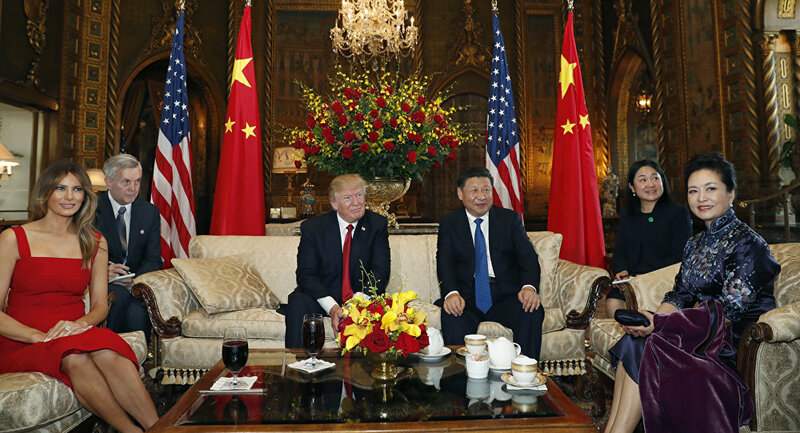 Apart from North Korea, the two reportedly discussed the development of Chinese-US cooperation in other areas, in particular within the framework of dialogue mechanisms launched after the Mar-a-Lago summit. Xinhua News Agency quoted Xi as saying that Trump's visit to China in November is expected to become the most important event in bilateral relations. In late 2016, China lodged protest after then-US President-elect Trump had a telephone conversation with Taiwanese counterpart Tsai Ing-wen, in what then-US Vice President-elect Mike Pence described as just a "courtesy call."